scion of a Standard Oil cofounder, Pulitzer mingled with America’s elite, counting Jackie Kennedy as friend + classmate at prep school. 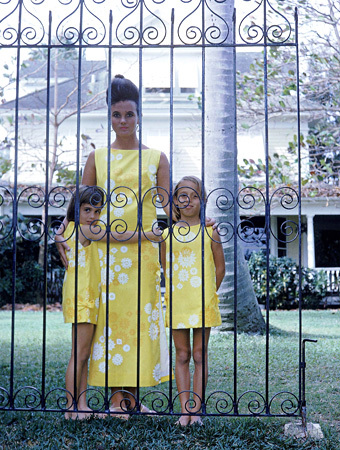 Lilly eloped with Peter Pulitzer, heir to the Pulitzer publishing fortune; the new couple settled among his citrus groves in Palm Beach, Florida. 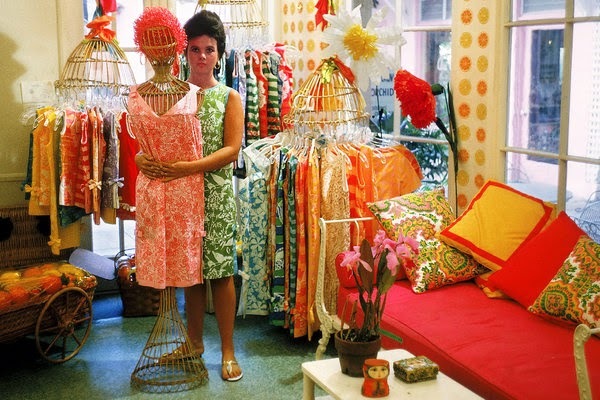 Pulitzer opened a small juice stand on the property + to camouflage juice splash stains, she designed colorful clothing. 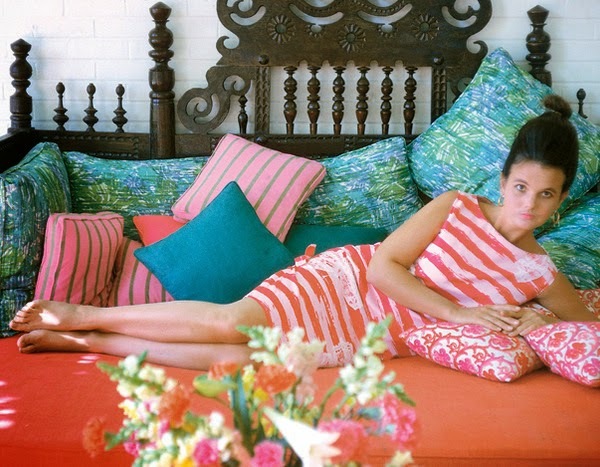 "Target's Lilly Pulitzer 250-piece collection includes apparel, swimwear, shoes, accessories, home goods, outdoor entertaining accessories, travel essentials, + cosmetics. 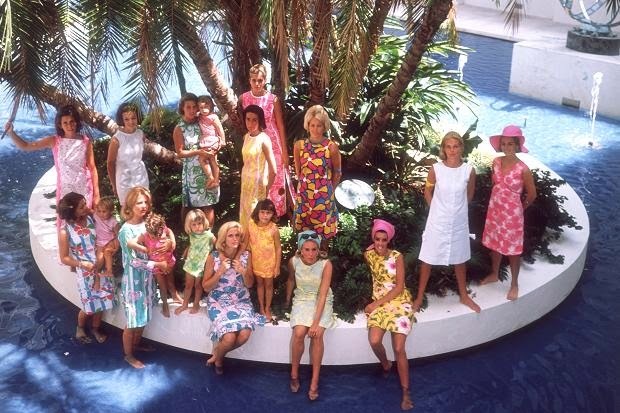 Celebrating Lilly Pulitzer’s resort chic aesthetic + vibrant prints + patterns, Lilly Pulitzer for Target will be available beginning April 19."